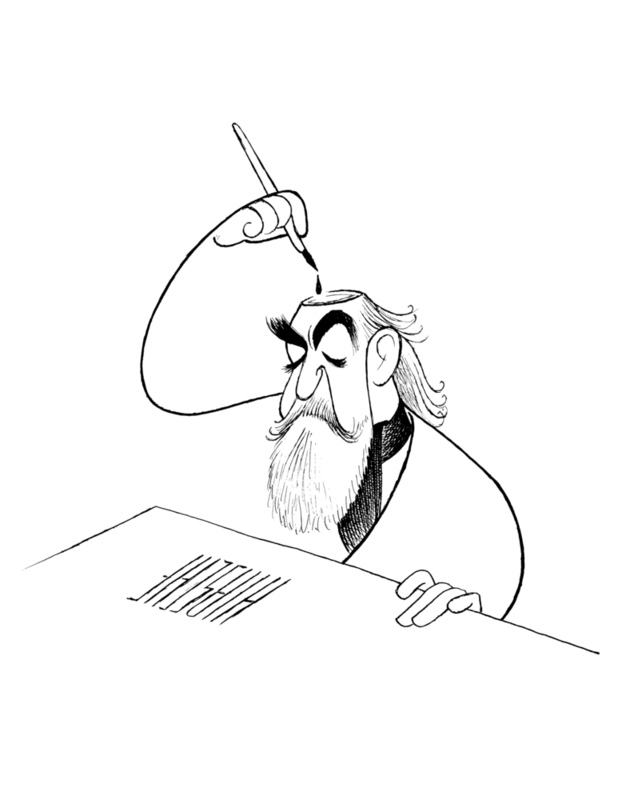 Al Hirschfeld (1903 – 2003) was an American caricaturist best known for his simple black and white portraits of celebrities and Broadway stars. 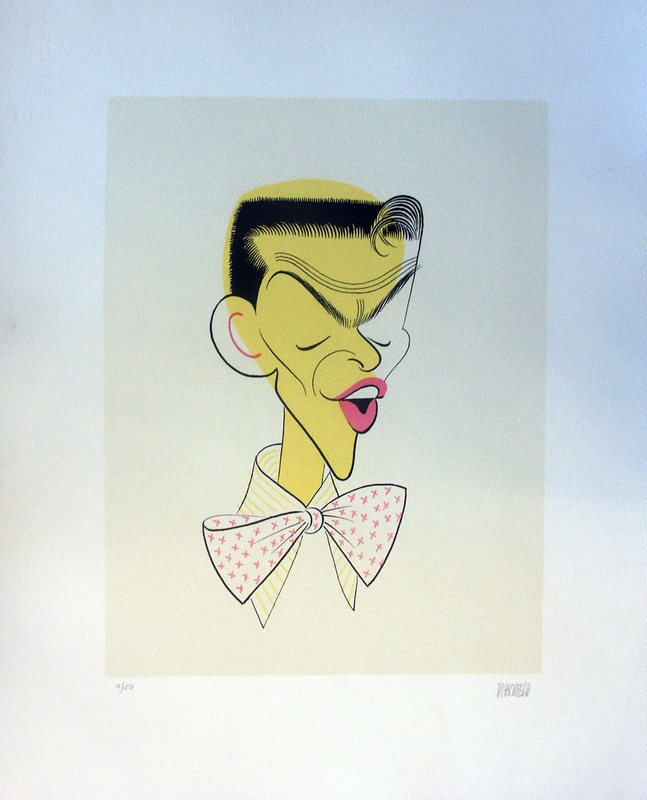 Hirschfeld’s art style is unique, and he is considered to be one of the most important figures in contemporary caricature, having influenced countless cartoonists. His caricatures are almost always drawings of pure line with simple black ink on white paper with little to no shading or crosshatching. His drawings always manage to capture a likeness using the minimum number of lines. Though his caricatures often exaggerate and distort the faces of his subjects, he is often described as being a fundamentally ‘nicer’ caricaturist than many of his contemporaries, and being drawn by Hirschfeld was considered an honor more than an insult. Nonetheless he did face some complaints from his editors over the years. Hirschfeld is known for hiding the name of his daughter, Nina, in most of the drawings he produced since her birth in 1945. The name would appear in a sleeve, in a hairdo, or somewhere in the background. Sometimes ‘Nina’ would show up more than once and Hirschfeld would helpfully add a number next to his signature. From time to time Hirschfeld lamented that the gimmick had overshadowed his art and tried to discontinue the practice, but such attempts always generated harsh criticism. Nina herself was reportedly somewhat ambivalent about all the attention. The US Army used his cartoons to train bomber pilots. The soldiers were told to spot the Ninas, much as they would spot their targets. Hirschfeld found the idea repulsive, saying that he felt his cartoons were being used to help kill people.